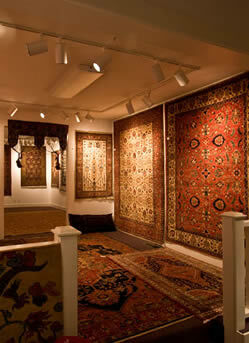 Since 1980, The Magic Carpet has taken great pleasure in providing the community with a unique collection of antique, semi-antique and new Oriental rugs, with a special emphasis on one-of-a-kind tribal rugs. Come in and explore the fascinating world of Oriental rugs and feast your eyes on treasures from the East: Turkey, Russia(Caucasus), Persia(Iran), Afghanistan, Pakistan, India, Tibet, Nepal and China. An unparalleled collection of semi-antique and antique hand embroidered textiles from the Indian states of Gujarat, Rajasthan and Andhra Pradesh. A large and unique collection of museum quality antique Indian, Nepali and Tibetan statues. A growing volume of educational and reference materials. We invite you to peruse our inventory as well as enhance your appreciation for this ancient art form by studying and better understanding the rich tradition behind it with our educational materials available on the web site and in the shop. 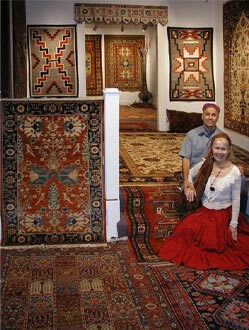 Extensive rug services. The Magic Carpet has been committed to providing all of the necessary services needed to maintain the timeless beauty of your Oriental rug: Washing, restoration, trading, appraising, home consultation, home trials and educational lectures. 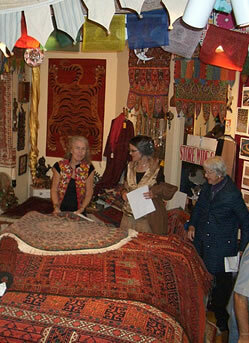 We look forward to exploring the wonderful art and culture of Magic Carpets with you! 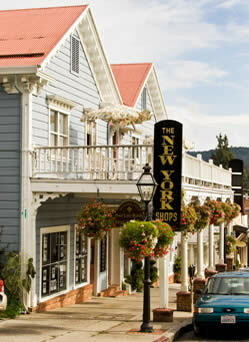 A Green Investment ~ Rugs For A Lifetime! store events and sales, please follow this link.